Happy Monday, friends! I hope you had an amazing weekend. We spent most of our’s prepping for what was supposed to be snowmageddon. A couple grocery store runs to stock up on food and mentally prepare to stay cooped up for a good 2 weeks. Yeah, we ended up not getting any snow, lol. I feel like that’s very Oregon, tho. The weather is so unpredictable. 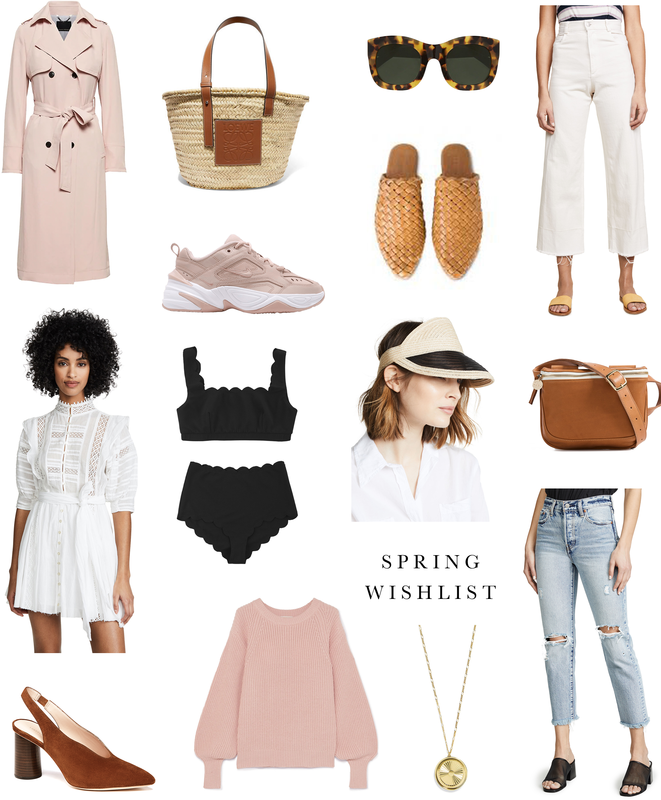 Anyway, since were in the middle of the coldest days we’ve had yet, I thought I’d share my spring wishlist with you. We’re headed to LA and Palm Springs in March, so spring and warm weather is definitely on my mind. I’m hoping to pick up some bigger ticketed items this year that I know I will get a ton of wear out of and sprinkle in more trendy pieces at affordable price ranges. My pink obsession is still going strong! Stay tuned to see what I ended up getting on this list. I’m loving your Spring picks! Those jeans, white dress, and woven slides are my favorite!